This weekend had taken us to the Dena’ina Convention Center where we celebrated the end of the 2014 Native Youth Olympics. We setup a 7000 watt system that had plenty of booty shakin’ bass. Lasers and LED dance light fixtures shot all round the room to project a fun atmosphere. We have been performing this event on an annual basis and each year it gets better and better. This year, Alaska Native Rapper, Rebel came out to send a positive message and the crowd enjoyed his track, “One Tribe”. The event was full of energetic atheletes and this year’s floor fillers included: “Turn down for what” – DJ Snake & Lil John, “Bird Machine” – DJ Snake feat. Alesia, “Dark Horse” – Katy Perry feat. Juicy J, “#Selfie” – The Chainsmokers. Miley Cyrus’s “Adore You” was well appreciated for one of the slow dance songs. NYO Athletes goin' crazy to the music! Slowing it down for a little one on one time. 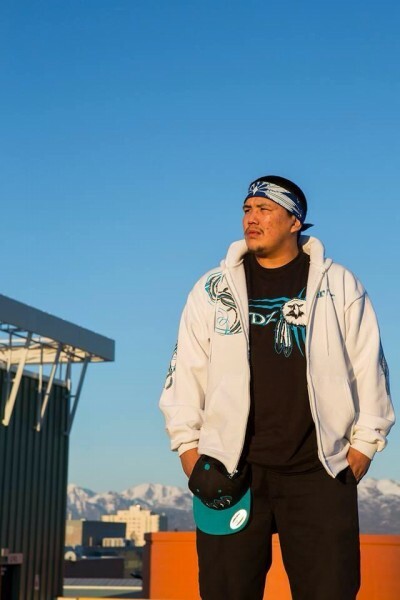 Alaska Native Rapper, Samuel Johns aka Rebel took the stage at this year's Native Youth Olympics. Learn more about him on Facebook!